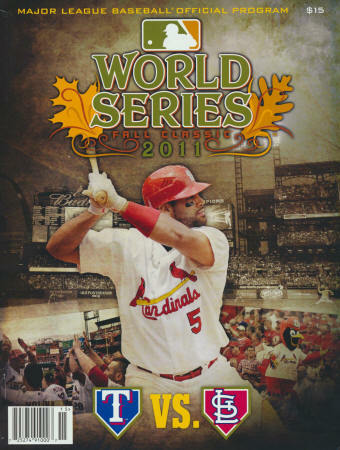 Albert - the greatest WS game ever? You be the judge..
- Went 5-for-6, with 3hrs, scored 4 runs, collected 6 RBIs and 14 total bases. The first team in WS history to rally 5 times in a WS game. The first time LaRussa managed a Game 7 in the WS. 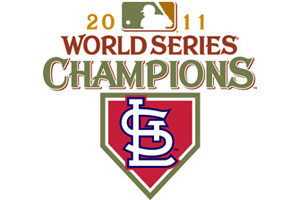 The Cardinals hold the record for the most World Series game sevens with 11. 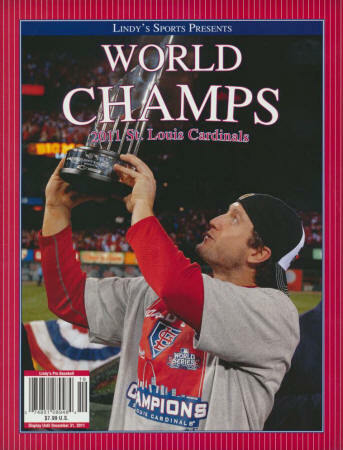 The Cardinals 56 overall World Series wins are tops among National League clubs. Texas set a World Series record by walking 41 batters. David Freese had a hit in all 6 games. 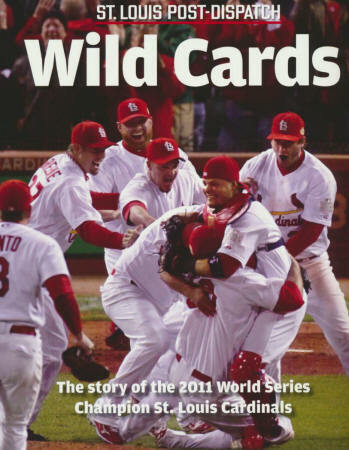 The Cardinals are the 10th Wild Card team to advance to the World Series. Ryan Theriot became the 11th player in club history and the first since David Eckstein in the 2006 WS to get 4 hits in a post season game. 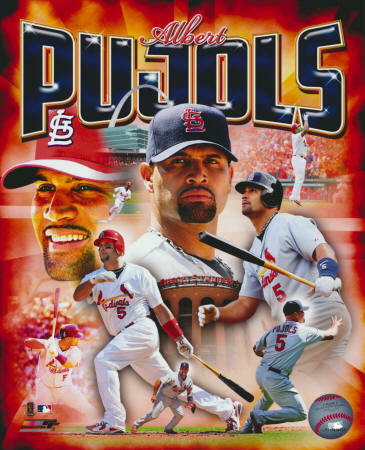 Albert Pujols became the 12th player to accomplished the feat with doubles in the first, fifth, and ninth and a single in the seventh. The Cardinals and Nationals were the only clubs to have a winning record against the Phils this year. The Cardinals are just the second team to rally from a 2-1 deficit to win the series. Cards head to the White House! 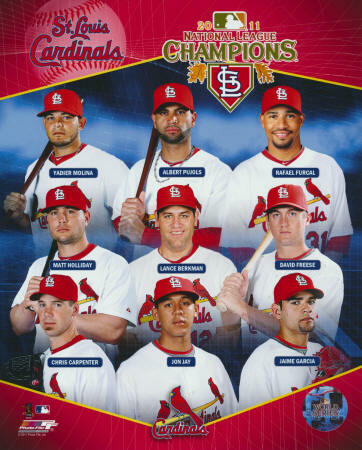 - The Cards led the league in batting average (.273) for the first time since 2008. 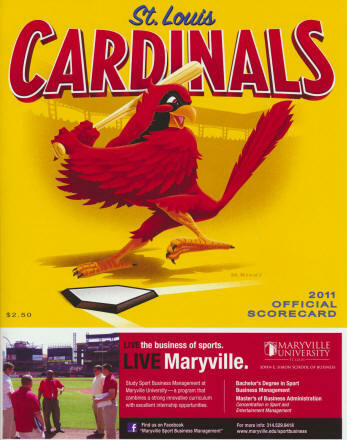 - The Cards had 26 blown saves. 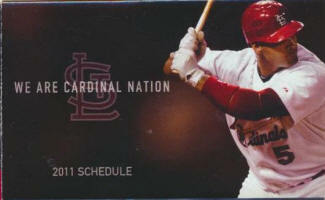 - The Cards stole only 57 bases, fewest in the NL. In a start on September 7th he blanked the Brewers on four hits. One September 18th at Philadelphia Carpenter tossed eight shutout innings and beat the Phillies and Cole Hamels 5-0. 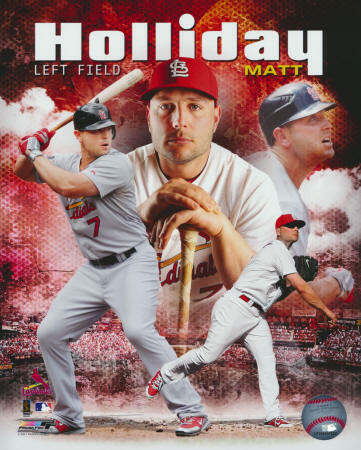 On September 23rd at Busch Stadium, he hurled seven strong at the Cubs before leaving a 1-1 tie. The bullpen imploded and the Cardinals lost 5-1. 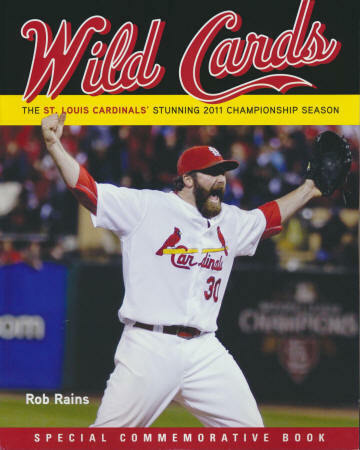 On September 28th the regular �season finale, Carpenter threw a complete-game shut-out at Houston, allowing two hits, fanning 11 and punching a postseason ticket for the wild-Cardinals. 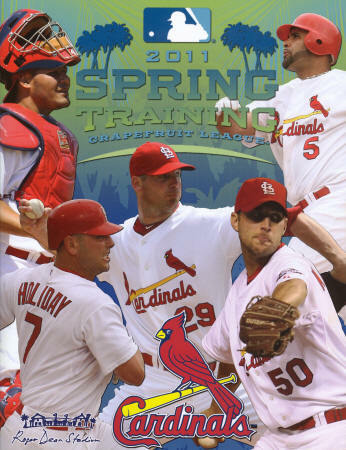 The Cardinals led the league in runs scored (762), average (.273) and on-base percentage (.341). For the first time in more than 30 years, the Cardinals also led the league in average and on-base percentage and on-base-plus-slugging percentage (OPS) in the same season. 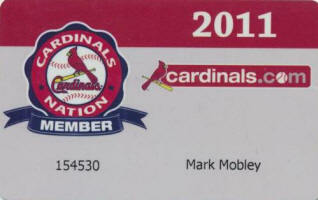 Mike Matheny is the new manager! Molina earns his 4th Gold Glove! -- Ken O'Dea: one-out single off Browns pitcher Bob Muncrief. Scored Ray Sandersto win 3-2 in the 11th inning on Oct. 5, 1944. World Series Game 2. The Series was tied, 1-1. 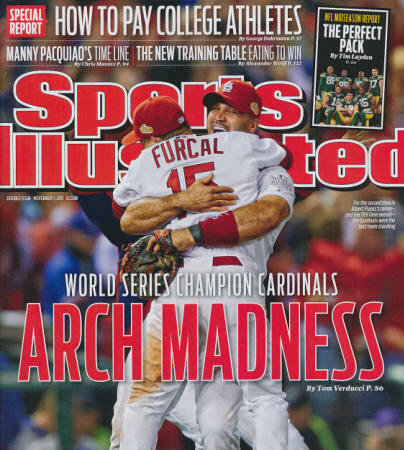 Cardinals won series, 4-2. -- Ken Oberkfell: one-out single on a 0-1 pitch off Braves pitcher Gene Garber, to score David Green and win, 4-3, on Oct. 9, 1982. NLCS Game 2. 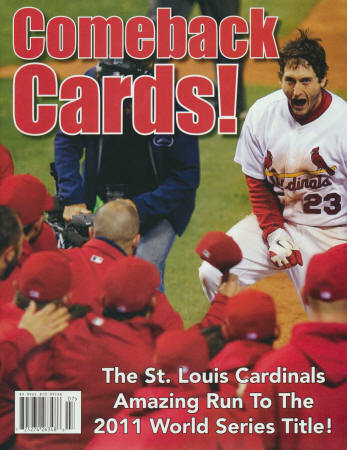 Cardinals led series, 2-0, and then won series, 3-0. -- Ozzie Smith: the "go-crazy, folks!" homer. A one-out solo home run off a 1-2 pitch from Dodgers' pitcher Tom Niedenfuer and win, 3-2, on Oct. 14, 1985. 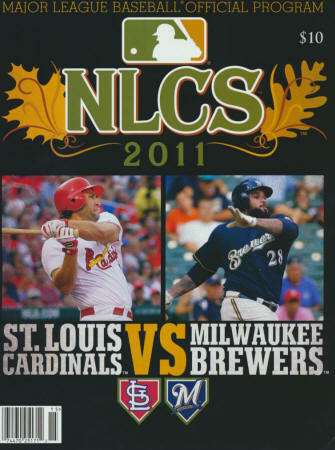 NLCS Game 5. 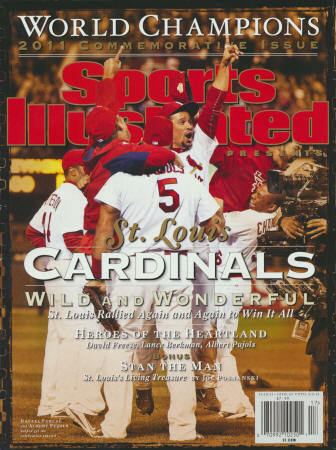 Cardinals led the series, 3-2, as a result and won it, 4-2. -- Jim Edmonds: a one-out two-run homer off a 0-1 pitch from Astros' reliever Dan Miceli. 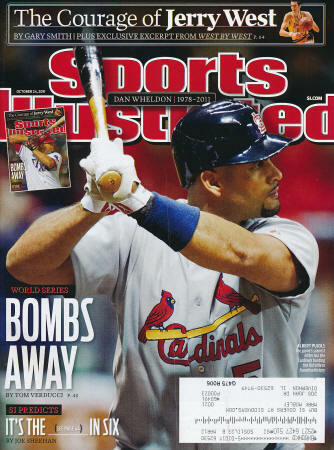 The extra-inning blast scored Pujols and won Game 6 of the NLCS -- perhaps the last great postseason game played in St. Louis before last night's. 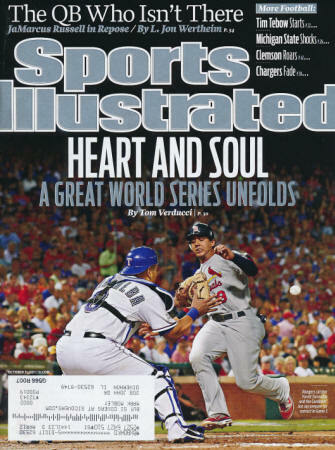 It happened on Oct. 20, 2004, and it forced a Game 7 that the Cardinals won to take the pennant. 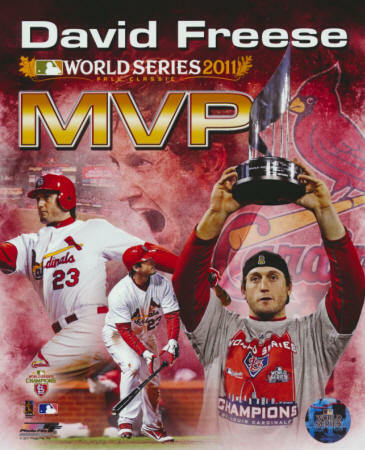 -- David Freese: a leadoff homer in the 11th inning off a 3-2, 90-mph changeup from Texas' Mark Lowe that won Game 6 of the World Series, 10-9. 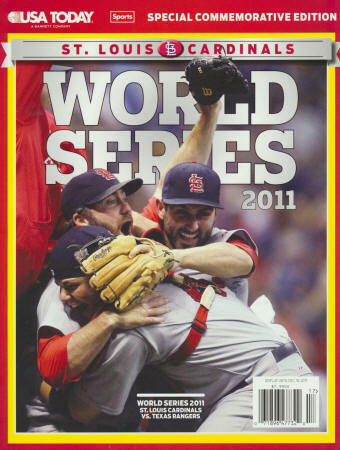 The walk-off happened on Oct. 27, 2011, and it tied the Series, 3-3, to force a Game 7. Is just the 6th player in MLB history to win MVPs in both the WS and LCS series. Hit .348, with seven RBIs, three doubles, one triple, and one homer. Berkman earns Comeback Player of the Year! 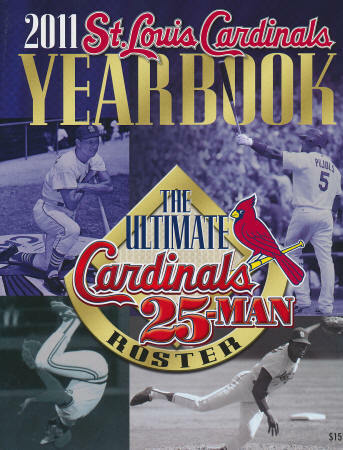 Berkman scored a Cardinal record 9 runs in the World Series. 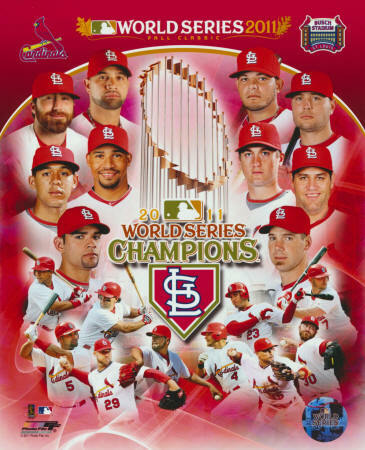 2011 NL Wild Card Champions! The Cardinals finished their last 50 games with a 34-16 record. For the first time since 1990, no one on the team struck out more than 100 times during the regular season. My, how quickly things change! 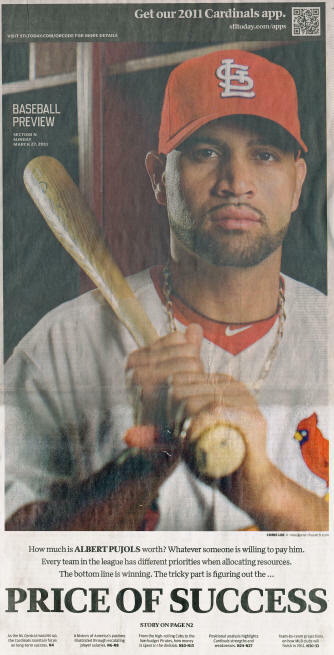 Pujols earns player of the week honors! Berkman earns player of the week honors again! Berkman earns player of the week honors! Garcia earns player of the week honors!